State broadcasters said those arrested had links to a group called the Kamikaze Riders, a motorbike group based in the city whose members are mostly of North African origin and previously linked to jihadist groups. They had plans to carry out an attack, Flemish-language broadcaster VRT said, citing sources. It added those plans were still at a very early stage and no specific target had yet been chosen. The prosecutors said the detentions were separate from investigations into Islamist attacks in Paris in November 2015, which killed 130 people, and in Brussels four months later in which 32 people died. 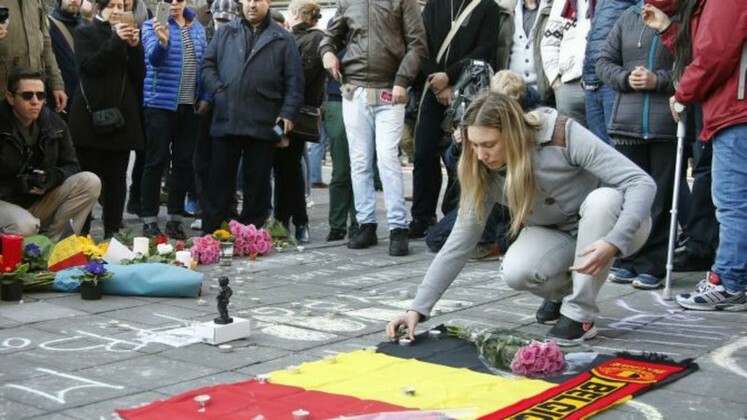 Belgium this week marks the first anniversary of the Brussels airport and metro bombings with ceremonies showing the heart of Europe is still beating despite the country’s worst ever attacks. “During one of the house searches, various weapons were found,” the federal prosecutors said in a statement. Police found Kalashnikovs, bullet-proof vests and ammunition in raids on two garages and four homes in the Brussels’ Anderlecht district. Another person was arrested by anti-terrorist police on the French side of the border with Belgium, a French judicial source said. 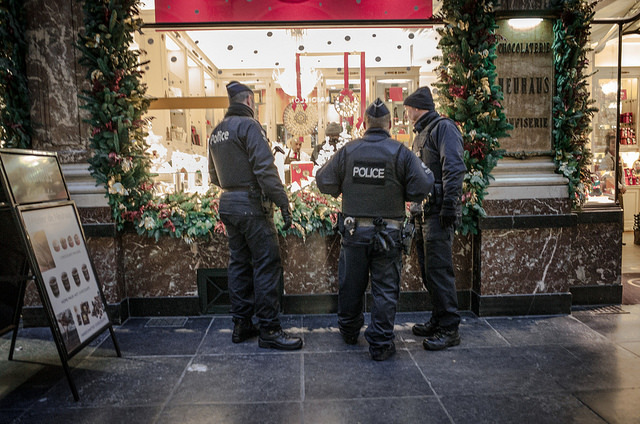 A French police source said the arrest was part of a joint operation led by the Belgians. La Voix du Nord newspaper said the arrest in France followed a raid by counter-terrorism police in the early hours of Wednesday in a suburb of the northern city of Lille. The suspect fled the house but was detained in an adjacent street, dressed only in a T-shirt and shorts.